Since launching in April 2016, the 6 Worthy Weeks project has been a great success, with many young people taking part in volunteering opportunities in their community. The program, open to young Argyle tenants aged between 14-19, aims to encourage young people to engage with their local community. Participants who complete 10 hours of volunteer service receive a $200 reward voucher with many continuing on in their volunteer roles. “nib foundation is proud to have partnered with Argyle to support the development and rollout of the Six Worthy Weeks challenge, and recognises its value as an innovative way to engage young people and foster positive action at a grassroots level,” said nib foundation Executive Officer, Amy Tribe. The diverse range of activities shows how keen young people are to engage, with duties ranging from setting up the local sports grounds to learning about radio broadcasting and helping out elderly tenants. Ben Brownlee-Roberts, a 15-year-old Bowral resident, gave up a series of Saturdays to volunteer at Harbison Care Nursing Home. 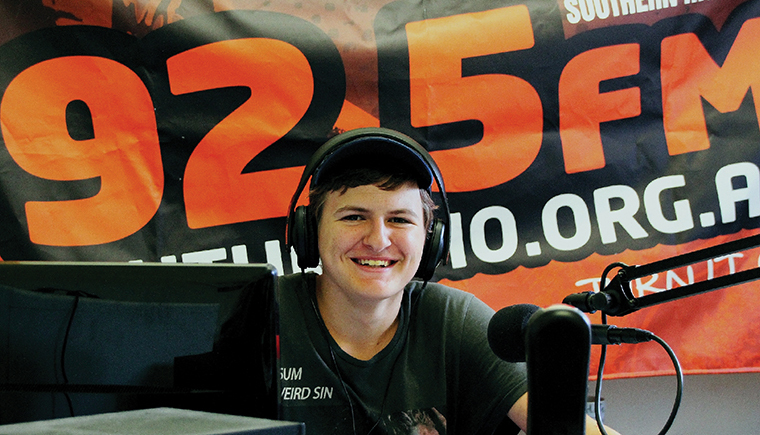 “I’ve always been interested in aged care, so I did this to gain experience,” Ben said. “I now have a sense of looking after people one-on-one and in groups.” Ben helped instruct people during exercises, took part in discussion sessions and gave the residents morning tea. In Young, Cynthia and Rhiannon collected aluminium cans around the town and donated the money raised from recycling cans to the local community Soup and Sanga Kitchen. Doing their bit for the environment, the girls took the two garbage bags of cans they collected to the local council to demonstrate that the town needs more bins. Even though it rained during their project week, both girls reported how much they enjoyed walking in the rain and doing their bit for their community. Angus Kilpatrick, a 16-year-old Queanbeyan resident, decided to donate his time and money to buy items for the homeless. Along with his siblings, Angus used all of his pocket money and even went without his Christmas presents to purchase blankets, warm clothes and a fridge for homeless people. Another example of the positive impact of Six Worthy Weeks challenge is 18-year-old Jordan from Appin, NSW. Jordan volunteered at Tharawal Local Aboriginal Corporation, helping with environmental care as well as producing artwork for the local community heritage event. In total, 17 young people from the Macarthur, Wingecarribee, Young and Queanbeyan areas successfully completed Round 1 of the Six Worthy Weeks challenge. With funding from nib, the project is well advanced into Round 2 and will once again be available to young Argyle tenants in Young, Wagga, Griffith, Queanbeyan, Bowral and Campbelltown. “This initiative not only possesses the potential to unearth some unique ways to offer help to those most vulnerable in our community, but it simultaneously supports the young participants in gaining highly valuable skills in creativity and leadership,” said nib foundation Executive Officer, Amy Tribe.